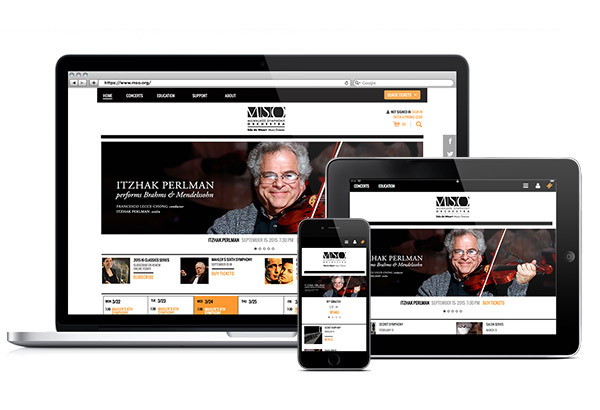 L2 Interactive is excited to announce the recent launch of the newly redesigned Milwaukee Symphony Orchestra (MSO)’s fully Tessitura integrated website. The MSO is a nationally recognized orchestra, performing over 135 classics, pops, family, education, and community concerts each season in venues throughout the state of Wisconsin. In addition, the MSO is a longtime client of L2 Interactive, with their first full site launch occurring in September of 2007. When they came to L2 to discuss a redesign project, we jumped at the chance to also refresh functionality, leveraging Tessitura’s REST API to implement in-cart Pricing Rules Messaging and Contact Point Purposes. Utilizing new pricing rules functionality available in Tessitura version 12.5, MSO can automatically communicate to patrons in a more targeted way. 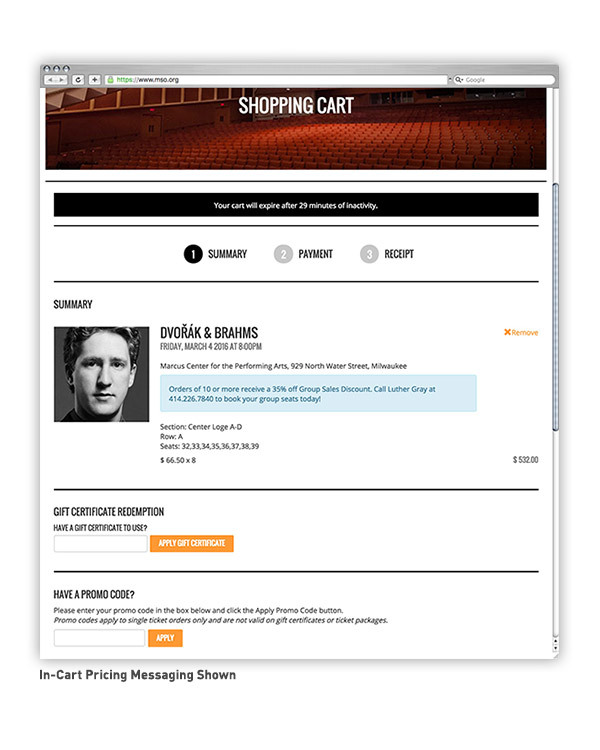 By setting up pricing and discount rules within Tessitura, MSO can tailor messaging to patrons based on what’s found in their cart. For example, a seat volume rule could be set up to assess how many tickets are found in the cart. If there are between 6 and 9 tickets found in the order, messaging would display letting the patron know that orders of 10 or more tickets are eligible to receive a group discount, and who to contact to obtain that discount. With in-cart pricing rules functionality, the MSO is now able to use the same rules and messaging as phone and window sales, giving the patron a more customized experience online. 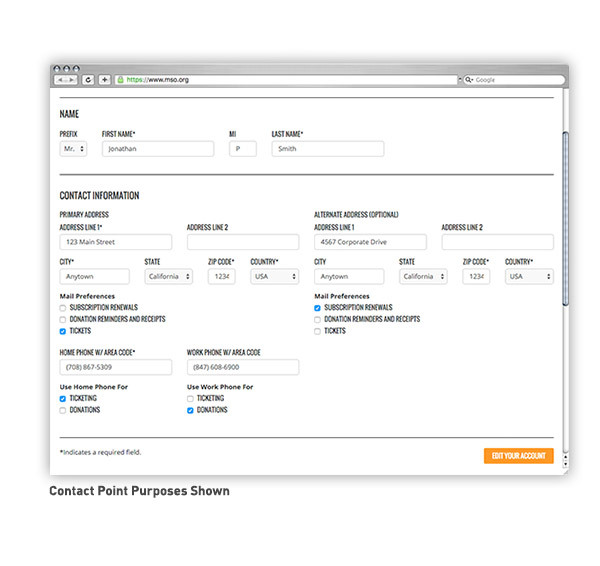 Another feature implemented for the MSO using the REST API is account customization through contact point purposes. New in Tessitura version 12, patrons are now able to manage contact point purposes for postal address, phone numbers, as well as email address. Now, patrons can tailor their preferences for each address and phone number listed in the account center. If a patron wants to have all marketing-related material sent to their work address and all ticket mailings sent to their home address, it can all be managed through the relevant check-boxes. When preferences have been set in the account center, the constituent record will also be updated in Tessitura, helping to keep all records up-to-date.